This pair of quality white women's socks for the Bride is made of cotton, nylon and elastic fibres. 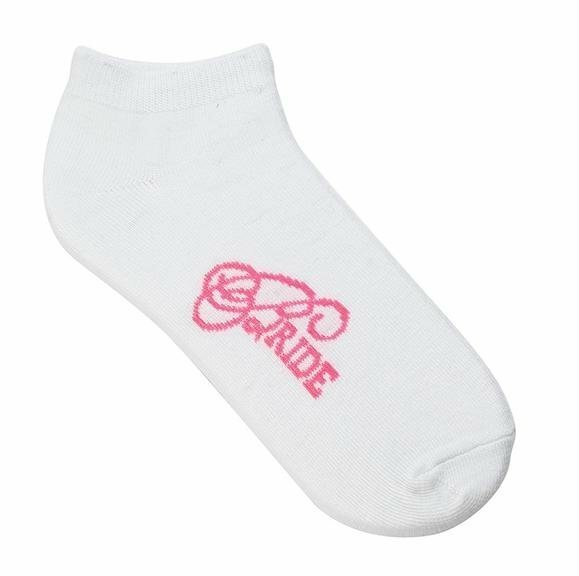 The word 'Bride' is in hot pink on both sides of each sock. They are women's size 5-11. Great to wear at your hens party, bridal shower or to wear while getting ready on your special wedding day! Matching bridesmaid socks & maid of honor socks also available. A fun novelty for wedding photographs.